A memorandum of intent for the approval of the Financing Agreement and Cooperation Projects between the Republic of Cuba and the European Union (EU), worth 61.5 million Euros, was signed on Tuesday in Havana. In a statement issued on Tuesday, the Ministry of Foreign Affairs rejected a slanderous mention against Cuba of the so-called Lima Group, a multilateral body of 14 countries that promote policies and actions against the Bolivarian government of Venezuela, and its legitimate president Nicolas Maduro. The Minister of Foreign Affairs of Cuba, Bruno Rodriguez Parrilla, received on Tuesday the Director General of International Cooperation and Development of the European Commission, Stefano Manservisi, who headed the European delegation that participated in the first round of the EU-Cuba Dialogue on Sustainable Development. The President of the Councils of State and Ministers, Miguel Diaz-Canel Bermudez, received at noon this Tuesday the Minister of Foreign Affairs of the Republic of Congo, Jean-Claude Gakosso, who is making a working visit to Cuba. Cuban Foreign Minister Bruno Rodriguez said on Twitter that more than seven thousand patients have been treated in two weeks in the field hospital installed in Mozambique by Cuba, after the strong affectations that the African country had by tropical cyclone Idai. Cuban Foreign Minister Bruno Rodriguez Parrilla highlighted the value of the dignity of several small Caribbean nations in the face of U.S. expansionism expressed in the Monroe Doctrine and the surrender of the countries of the Lima Group. A Post-Disaster Housing Construction Manual received an award, during the Provincial Hall of Architecture and Urbanism, sponsored by the National Union of Architects and Construction Engineers of Cuba (UNAICC) in eastern Cuban province of Guantanamo. The Vice President of the Council of Ministers, Ricardo Cabrisas Ruiz, started this Monday an official visit to the Republic of Angola, on the occasion of the celebration of the XIV Session of the Intergovernmental Commission Cuba- Angola, which will take place in Luanda April 15-17, 2019. 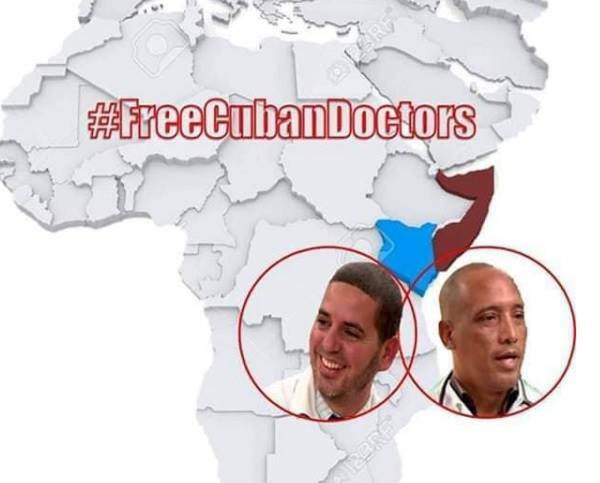 Miguel Diaz-Canel Bermudez, President of the Councils of State and Ministers, said on Twitter that Cuba is working tirelessly for the return of two doctors kidnapped in Kenya. European Foreign Ministers reiterated in Brussels, Belgium, their strong rejection of the US blockade against Cuba. The 9th Plenary Session of the Central Committee of the Communist Party of Cuba, headed by its First Secretary, Army General Raúl Castro Ruz, met this Wednesday to analyze the advances in the conformation of the National Plan for Economic and Social Development until 2030, the current situation of the Cuban economy and the implementation of the Economic and Social Policy Guidelines of the Party and the Revolution in the period 2016-2021. The United States announced that the British Acteon Group, a provider of submarine services in the oil and gas industry, will have to pay 227,500 dollars for alleged violations of the blockade on Cuba. Deputies of the Health and Sports Commission of the National Assembly of People's Power (ANPP), insisted on the importance of paying the utmost attention and increasing the development of Natural and Traditional Medicine (NTM).